1. 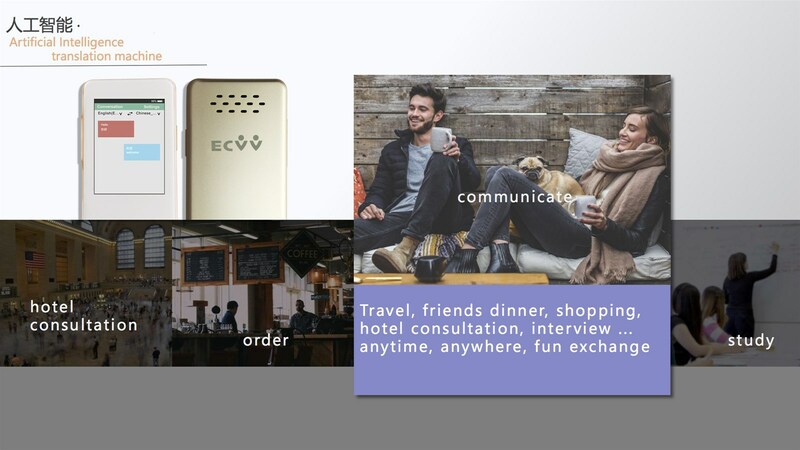 High precision, fast reaction, Wi-Fi connection, global travel. 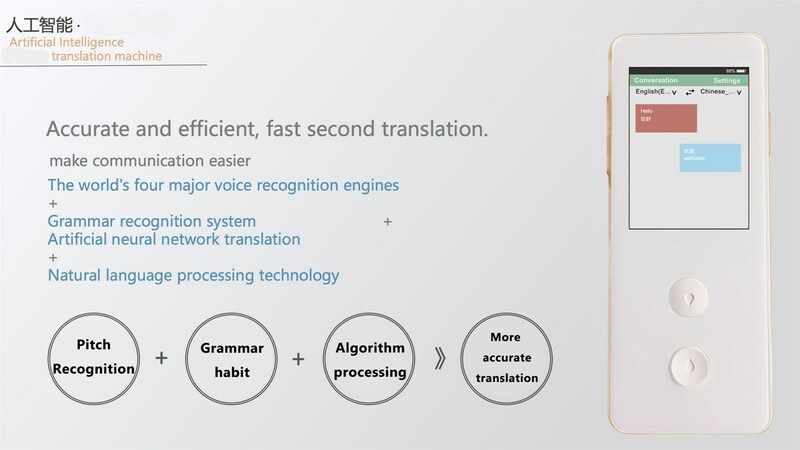 Accurate and efficient fast second translation, make communication easier, The world's four major voice recognition engines,grammar recognition system,artificial neural network translation,natural language processing technology, National patents. 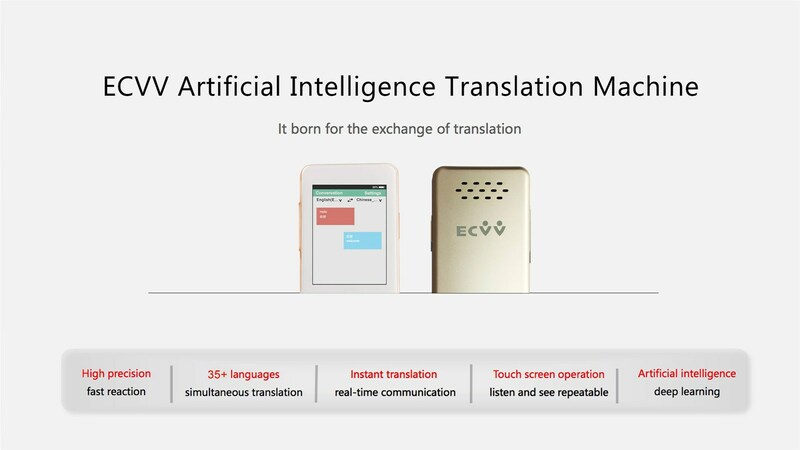 More features, Free update, Really out of the Phone, Completely independent use, The real artificial intelligence translator, does not use the app instant translator. 3. Built-in independent radio microphone components, Intelligent noise reduction speaker system. 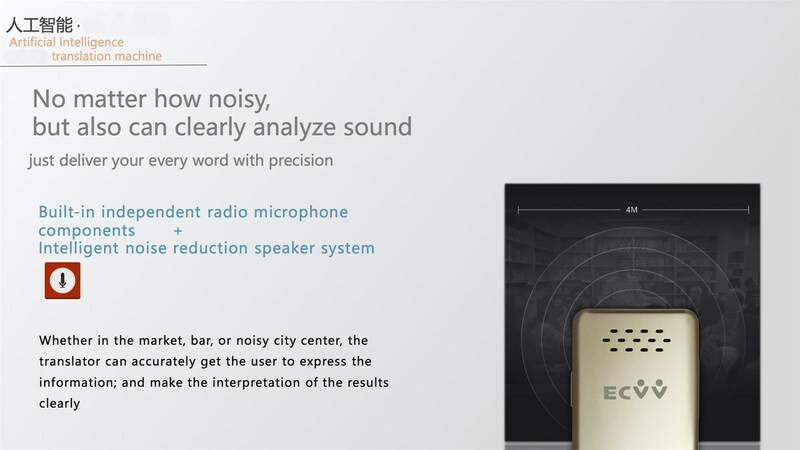 No matter how noisy, but also can clearly analyze sound, just deliver your every word with precision, built-in independent radio microphone components ,Intelligent noise reduction speaker system. 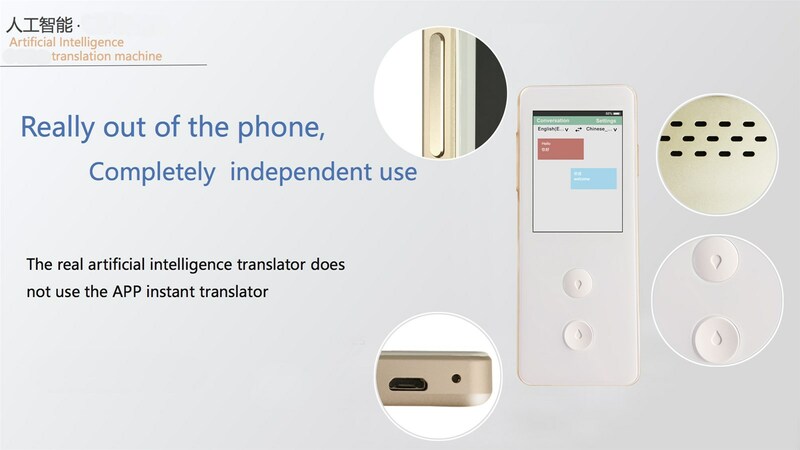 Whether in the market, bar, noisy places or city center, the translator can accurately get the user to express the information, and make the interpretation of the result clearly. 4. 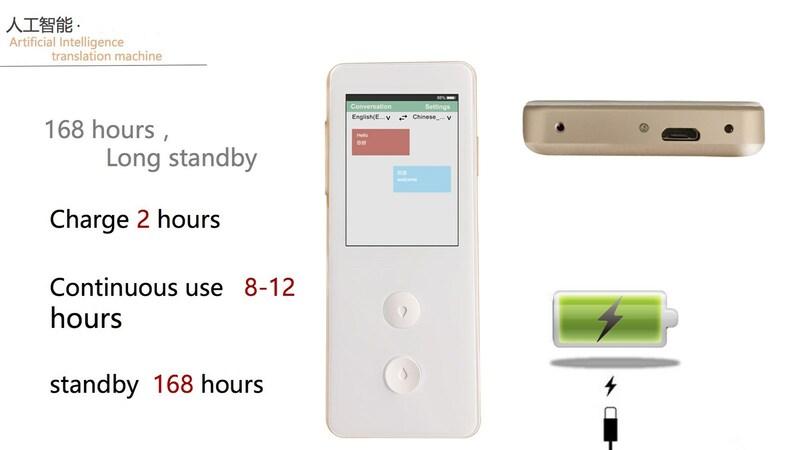 Power and Battery: Charge 2 hours, Continuous use 8-12 hours, standby 168 hours, the battery is guaranteed for many years of use and its fast to charge the device. 5. Touch screen operation, listen and see repeatable.Big screen display. 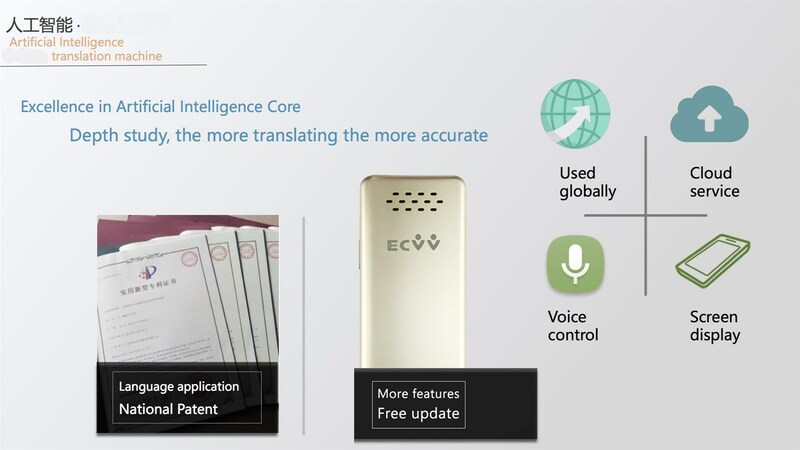 Used globally, cloud service, voice control, out of the phone,free update. 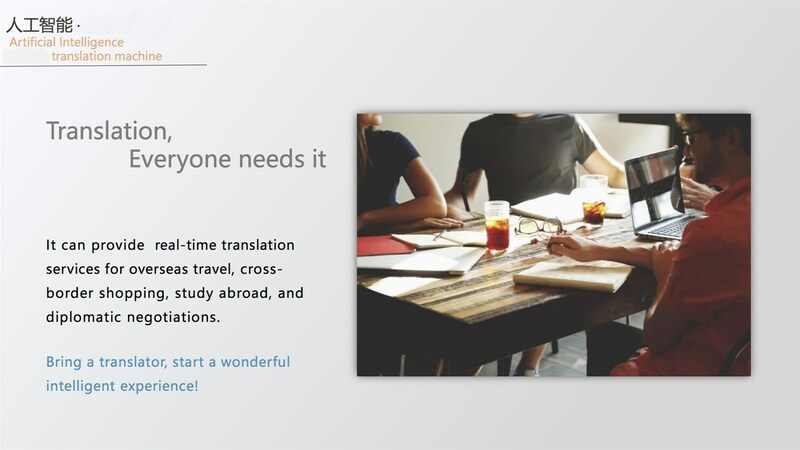 Translation, everyone needs it, it can provide real-time translation services for overseas travel cross, border shopping, study abroad, and diplomatic negotiations, hotel travel, friends dinner, shopping, hotel consultation, interview, order ,funexchange, study ,anytime, anywhere, bring a translator, start a wonderful intelligent experience. We offer quality and sincerity. We make your money more valuable in the currency inflation. 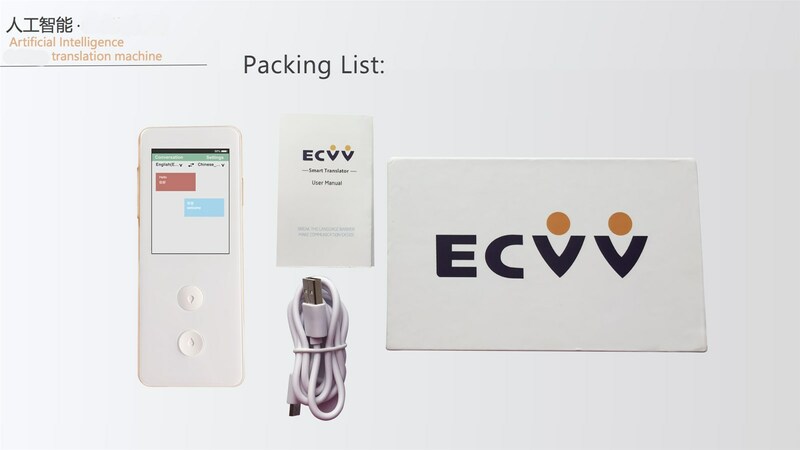 Choose our products; choose your time, energy, and comfortable future. 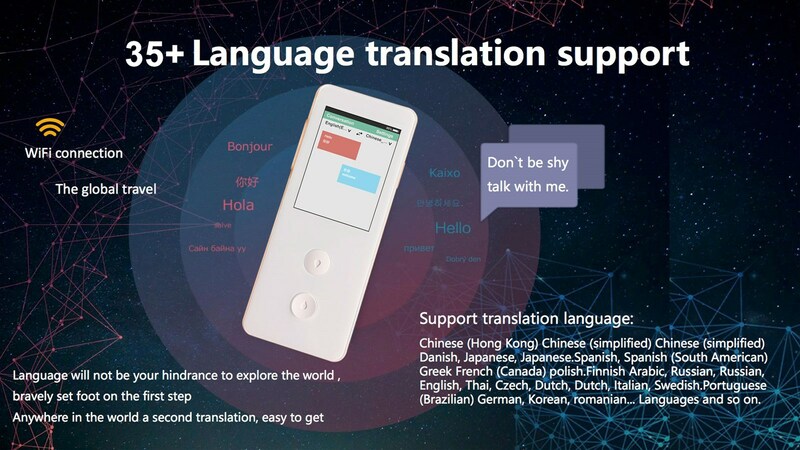 Interface and the smart voice translator will be open normally. Long press the power key 2S above, the screen Power off/Reboot icon, select the Power off key, device shutdown. Select the Reboot key, and the device is restarted. Short press lock screen. 2. When the boot is successful, select the NO key, then pop up and connect the Wi-Fi interface, select the Wi-Fi to be linked, enter the password, Wi-Fi icon shows the connection is successful, press the return button to use it normally. 3. Select the language settings, click on the left side A language, select the language you want to speak in the single row of the dishes, then click the B language drop-down on the right side to select the language to translate in the single row of the dishes. When you press the button below, the A language is translated into the B language to press the top key, then the B language is translated into the A language and the AB language is clicked on the screen. 1. Diversified databases can accurately identify names of people, place and professional nouns, local idiom idioms, etc., including the grammatical structure and contextual understanding of each language can be identified and translated. 2. The diversified speech engine doesn't only have a very high recognition rate, but also can be used without restrictions, without any timelimits. 3. 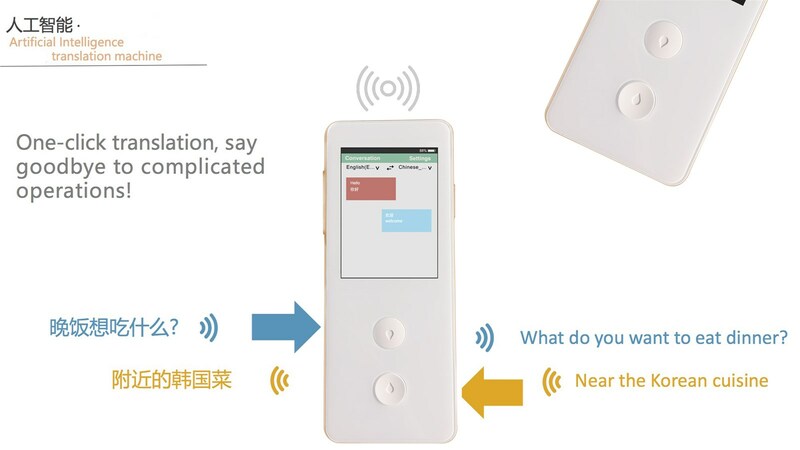 The independent smart device is guaranteed the stability of the whole system. It will not appear flashback, crashed, UI down system bug. 4. The database can self-detect BUG and repair, and include new words, languages, and new technologies, which will be updated to the front end through the cloud server terminal. 5. 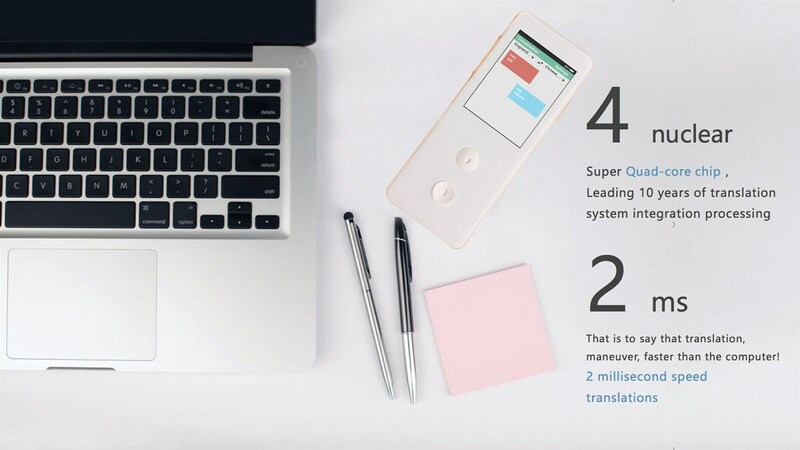 The translation machine is not affected by any program, unlike APP voice translation, which is often disturbed by SIRI, the voice interaction robot of the Apple system, and does not contain other programs, professional counterparts' device.